BREWS BROTHERS: The 69 Wall St., Huntington space of the recently-closed XO Restaurant is being eyed for a new bar and grill. Signage outside the building indicates that Brews Brothers Grille is coming to the village. Brews Brothers Grille plans to offer craft beer, burgers, wings and more. The Foodies will keep you updated when we find out more about the opening. QUALITY GREEK FOOD: The Greek Grill (1151 East Jericho Turnpike, Huntington) serves up quality Greek food. Head down to the Greek Grill for traditional dishes such as spanakopita, hummus and pita, Horiatiki salads, gyros, and more. The Foodies highly recommend trying the hummus, it’s creamy and has an authentic chickpea taste. Also try the tzatziki sauce that’s perfect for salads, gyros and wraps. From the chicken gyro platters to Horiatiki salad with moist grilled chicken, Foodies can’t go wrong at the “best named Greek Restaurant” on Long Island. Greek Grill also offers 10-percent off orders by downloading its smartphone app. For more info, check out Greekgrillny.com or call 631-421-3031. 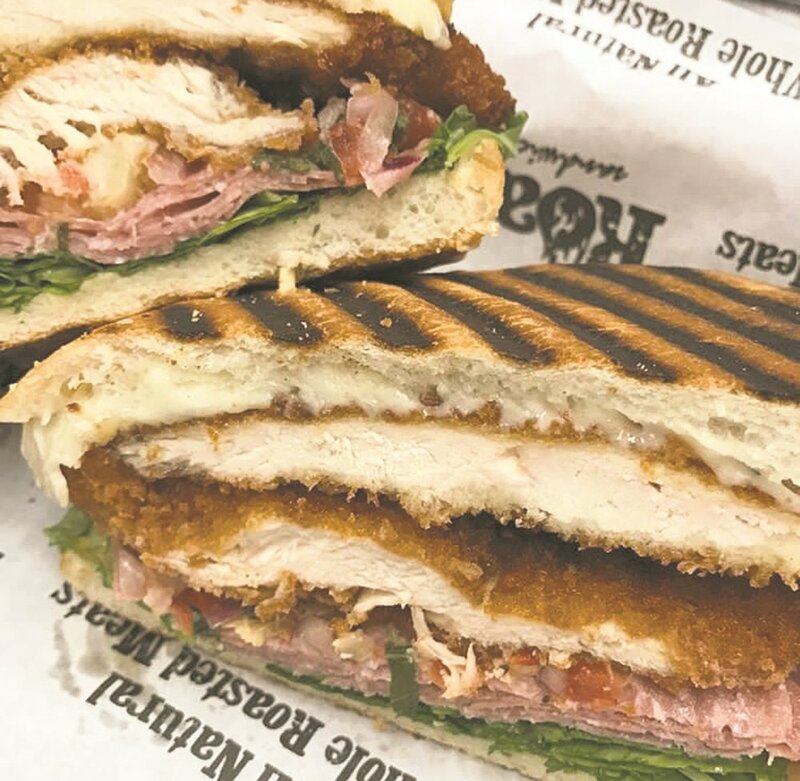 RUN TO ROAST: Roast Sandwich House is located on Route 110 and boasts unique salads, panini, soups, and of course sandwiches. The sandwich shop serves all-natural, whole roasted meats, homemade bread and fresh produce. A popular sandwich is the Braised Brisket Grilled Cheese that’s served on thick sourdough bread and packed with three types of cheeses. Our Foodies also love the Sandwich House Meatball, which is served on toasted bread with oven dried tomatoes, onions and mozzarella cheese. The flavors are intense and delicious. For the non-meat eaters there’s the mouthwatering veggie panini on multigrain that’s stuffed with zucchini, roasted peppers, eggplant, onion, fresh mozzarella and a basil mayo. Also be sure to get a side of Roast’s famous sweet potato tater tots. Roast (827 Walt Whitman Road, Melville) is open Monday-Saturday, 10:30 a.m.-8 p.m. For more info, call 516-261-9376.